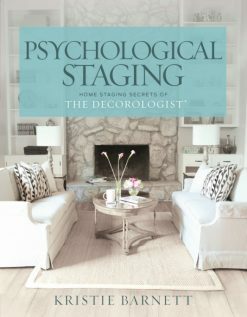 Freshening up your visual surroundings can lift your spirits and help you transition when life changes – especially if you are one of those people who is particularly effected by her environment. Kids grow up and move out. Careers change. Sometimes marriages end. 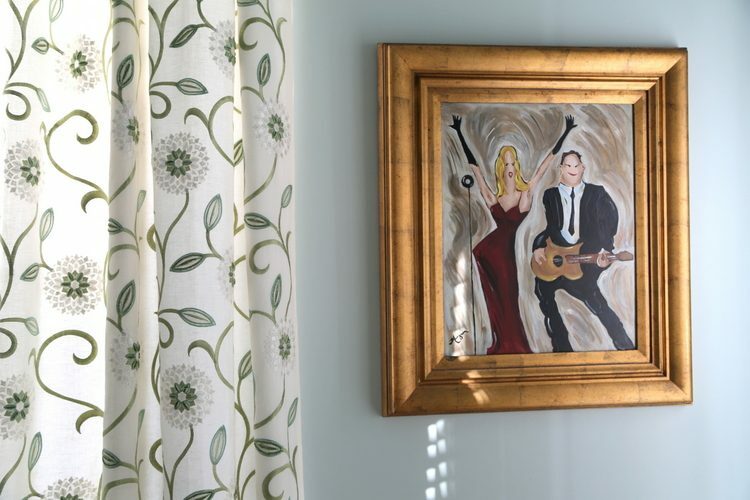 A bit of targeted redecorating can help you step forward with a fresh new start. 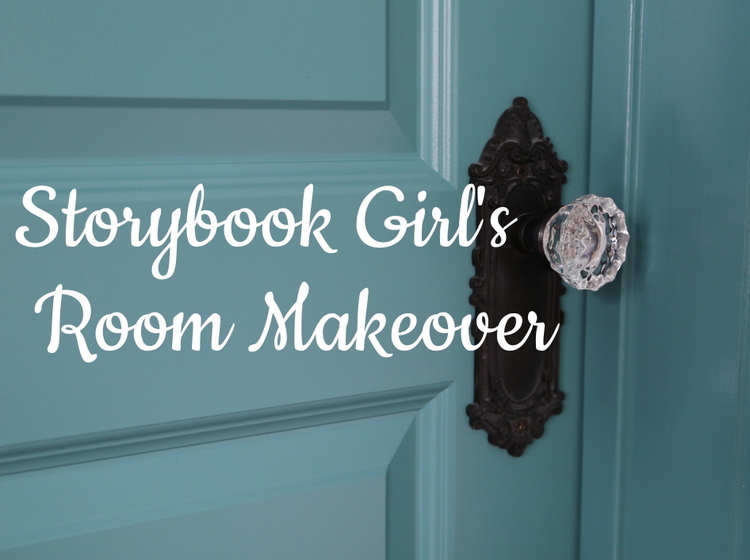 Another lift of spirits can happen when you paint the ceiling the same as the wall color – let me show you when it’s a good idea to do that. 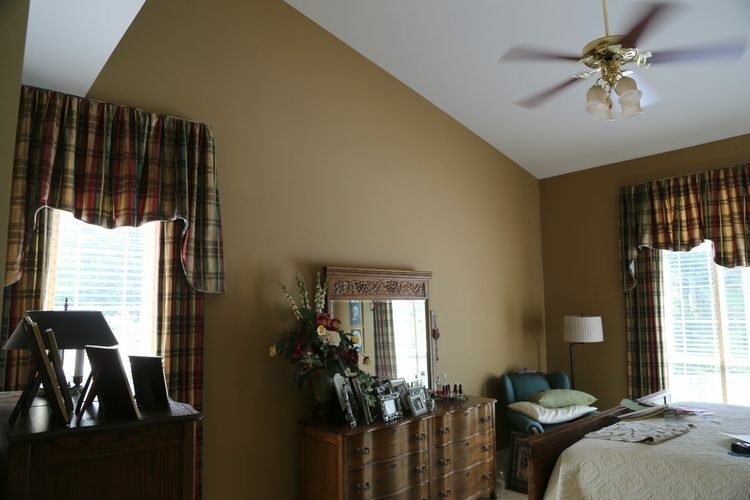 Maybe your ex-husband only liked dark colors and plaid, so that’s the kind of bedroom you’ve had for many years. And now you get to choose what YOU want since you don’t have to worry about someone else not liking it. 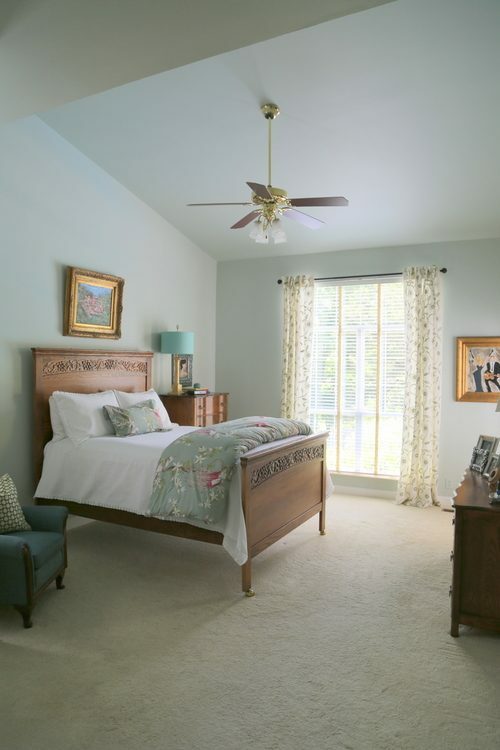 We chose Benjamin Moore Healing Aloe for this room. In this bedroom, we didn’t even have to purchase new furniture. 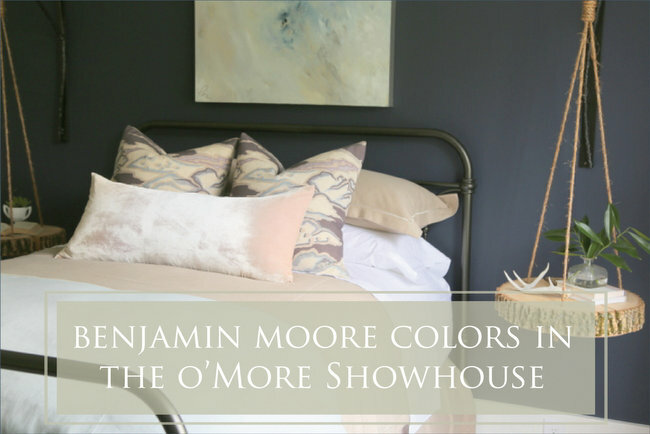 The fresh new color palette was established with paint color and new fabrics. See the pretty bedside lamp? The burgundy lamp base was painted gold and the dated shade was changed out with a new one from Home Goods. The new curtains we chose are lovely, aren’t they? And you gotta love this fun art that just makes you smile when you see it. 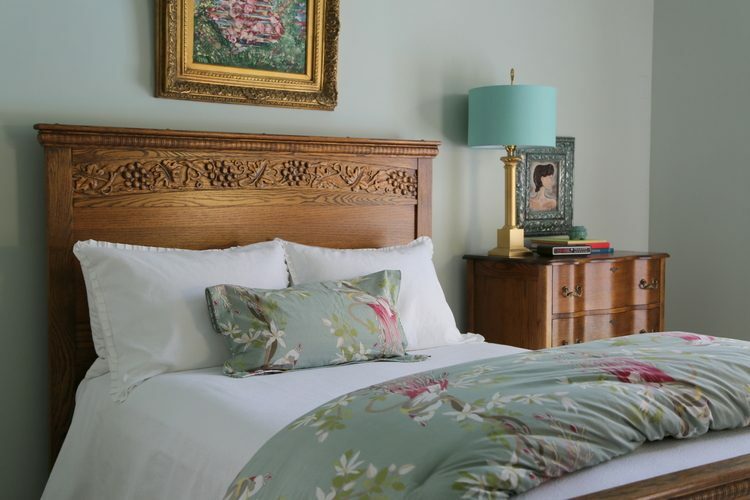 The bedroom actually looks larger – in large part due to the lighter paint color than extends up and over the room. In this situation, I chose to paint the ceiling the same as the wall color. 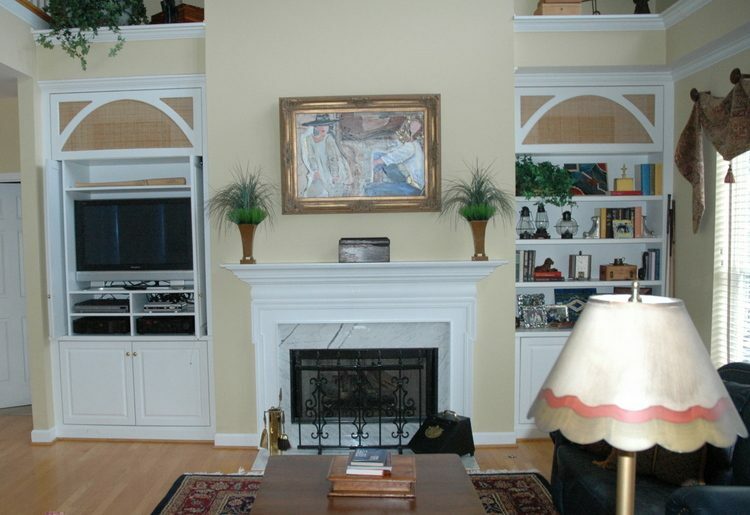 Notice there is no crown molding at the intersection between the ceiling and wall (more on this topic here). 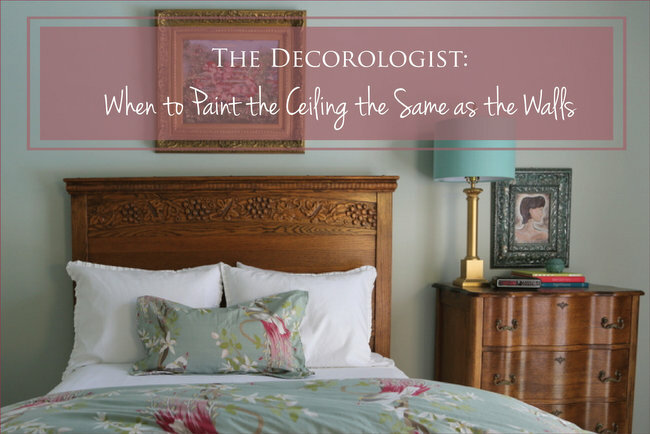 This is when you should paint the ceiling the same as the wall color! 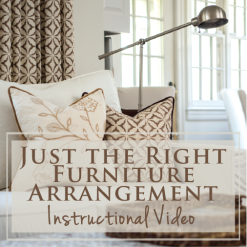 This not only downplays any odd angles, it also “takes the top off” the room altogether! Now the sky’s the limit . . . The dark television is now tamed with a dark color in the back of the bookcases. The gray-green walls freshen up the whole space and give a fresh perspective to the entire room. Even the breakfast area got a bit of a clean-up. 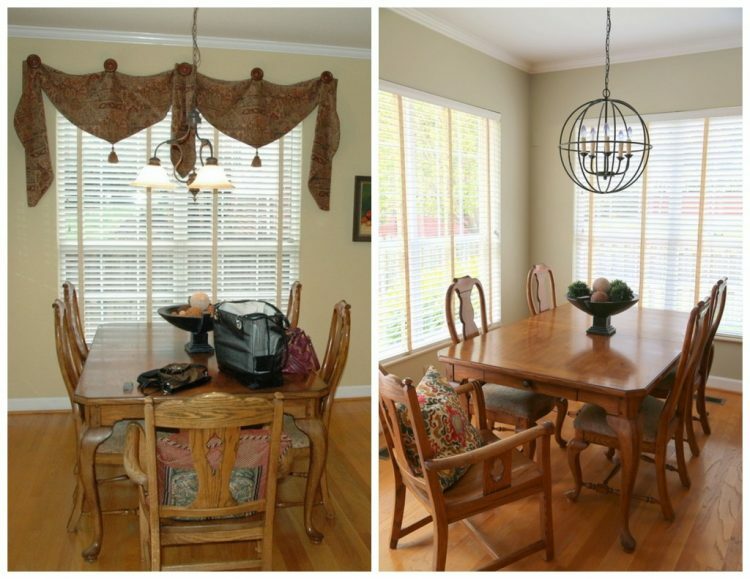 Dated valances and light fixture were removed, and the new wall color and orb fixture are the beginning of a new look for this area. New curtains will be selected eventually, but sometimes we have to take a step at a time! I hope these befores/afters spark ideas for your own fresh start! 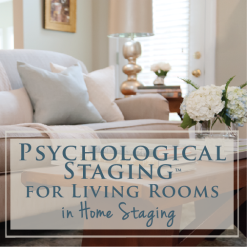 Speaking of fresh starts, I’m excited to help a new group of home stagers launch or advance their careers this Thursday through Saturday in my next Expert Psychological Staging certification course! I’ll be super-busy through the end of the week training, so this is the last chance I’ll get to post this week. 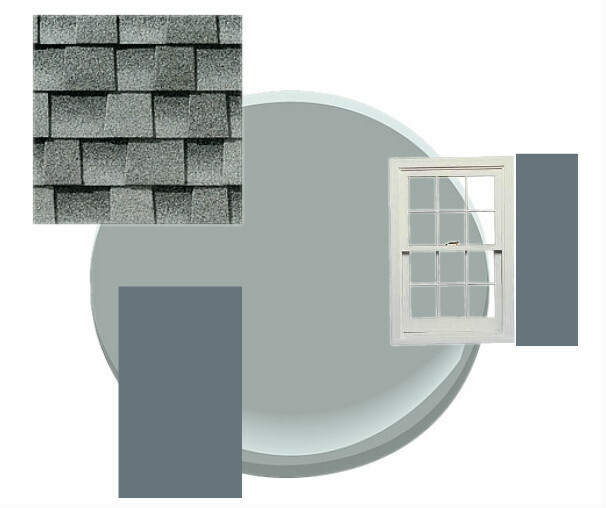 In my previous post, many of you gave me some GREAT ideas for the paint color names for The Decorologist Exterior Paint Color Collection for LP SmartSide!!! Thank you so much!! 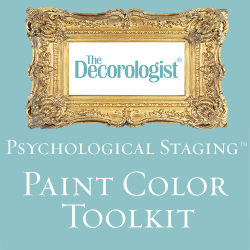 I’ve also been posting more colors and color combos on The Decorologist FaceBook page, so if you have the time I’d love for you to pop over there and add your suggestions on those. 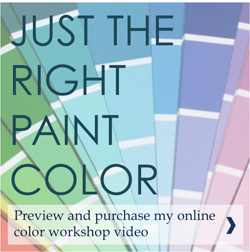 Thanks again for all your help choosing these paint color names! 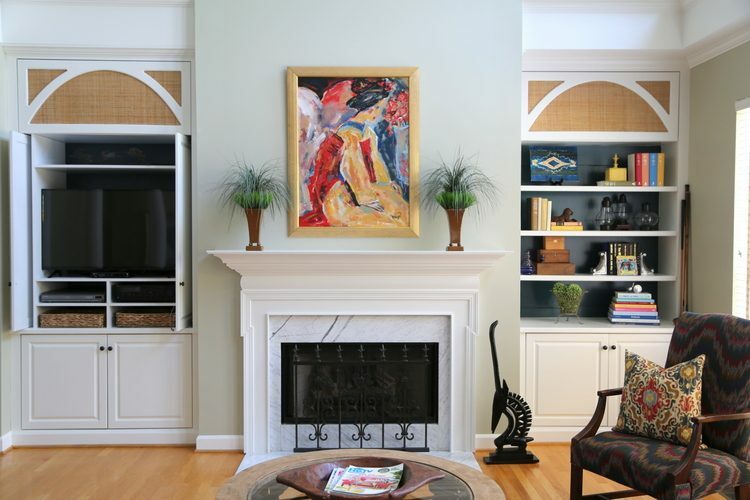 This entry was posted in Color Consultation, Design Intervention and tagged benjamin moore, bookcases, decorating, healing aloe, paint, paint the ceiling the same as the wall, painted bookcases, painted ceilings, painting the ceiling, redecorating. Love the Healing Aloe on the walls and ceiling! This bedroom looks like my master bedroom and I would paint the entire room one color as well after seeing what you did here. However……..popcorn ceiling ??? Aww, the blasted popcorn ceiling!!! You did it again! Can you divulge the source for the curtains? How sweet of you to do this. Beautiful ideas. Thanks for your excellent taste. Well, thank you, Nancy, for your kind words! 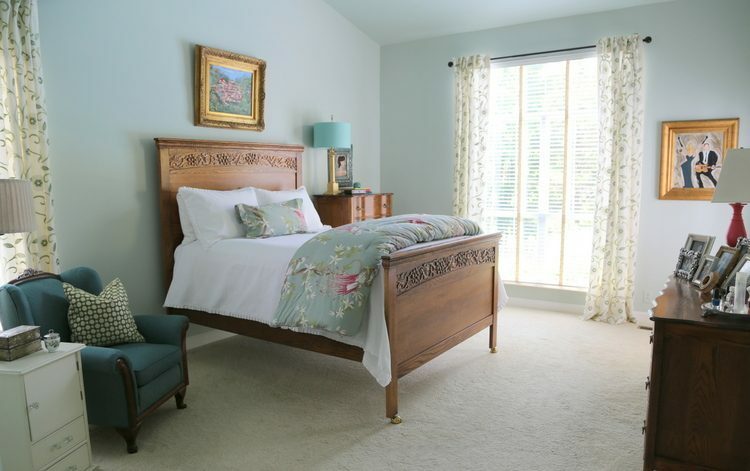 Just curious, is that bedroom painted Benjamin Moore Healing Aloe or does Sherwin Williams have one by the same or similar name? Love that room!!! My bad!!! 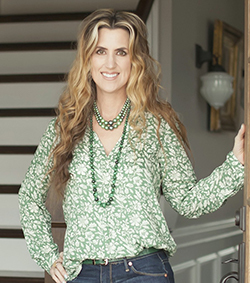 Good catch, Cathy – YES, it is actually Benjamin Moore Healing Aloe, NOT Sherwin-Williams (that one is different). This is why it’s so important to make sure the color name AND the number match up, right? 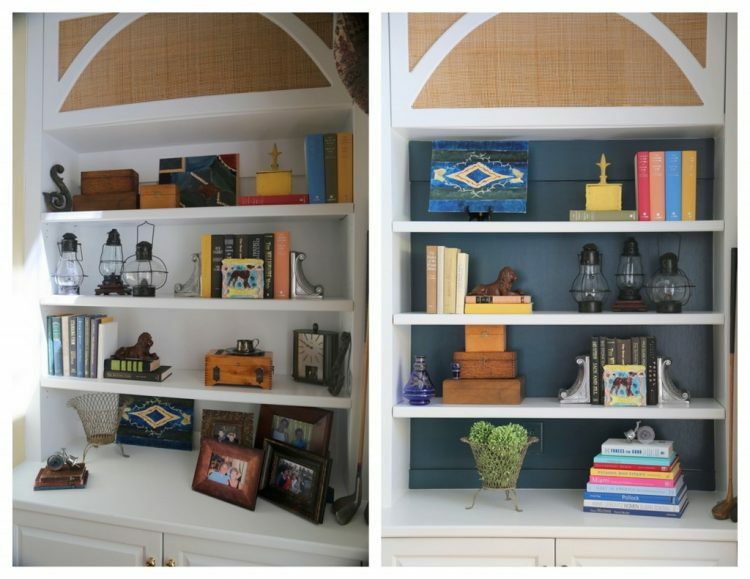 Great advice about painting the ceiling and angled walls the same color! 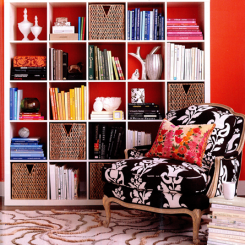 Even if a darker color is used, it makes the room seem larger when your eye is not forced to stop where the color cuts off. Also, Leigh, I recently saw a great solution for getting rid of popcorn ceilings: apply shiplap or paneling directly over the popcorn! I’ve seen photos of this and it looks great and is much less work than scraping them. Love Healing Aloe for a bedroom. Exact color of my bedroom. Simply white in trim. Calming color! Bedding in white. We painted our bathroom popcorn ceiling and walls two years ago So far it has held up beautifully. Would you say it’s a good rule of thumb to always paint the ceiling the same color as the walls … if there’s no crown molding? That room above looks so much better with the ceiling painted the same color, but since it’s angled, how does that translate to a non-angled ceiling? Joy, if the color is fairly light – absolutely. 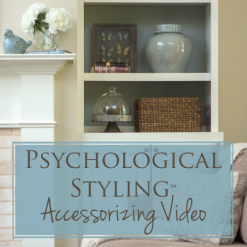 That’s a rule of thumb for me when there is no crown molding!